Order or print this convenient form to fill out while conducting a CDFE with your patient. 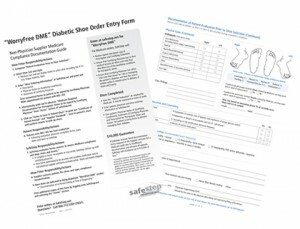 Then refer to the completed form when returning online, the same day as the exam, to order your patient’s shoes. If you need help or assistance, please call 866.712.STEP (7837) to speak with a friendly, knowledgeable representative.